Costa Rica’s Latitude 10 resort. 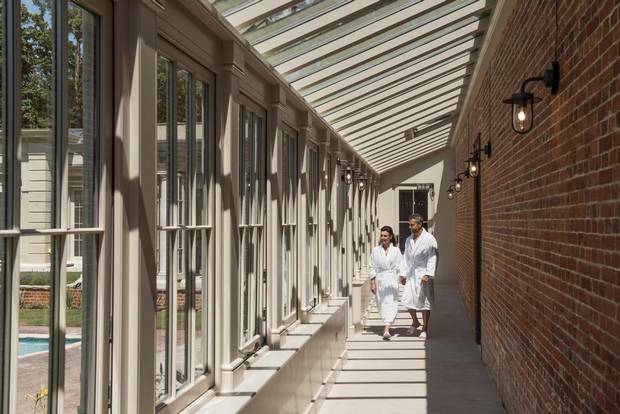 Robe-clad relaxation at the Cliveden Spa. Cliveden House is home to one of the most notorious pools in the world: A rowdy weekend here in July, 1961, led to the Profumo affair – a major scandal in British politics – after a naked 19-year-old Christine Keeler emerged from the water and caught the eye of politician John Profumo. These days, the only activity that raises an eyebrow is a lone bather deciding to take the plunge on an overcast and slightly nippy fall afternoon. For what was once the playground of Waldorf Astor and his rich, influential friends is still a site of decadence, but one where it's now all done in the name of wellness. 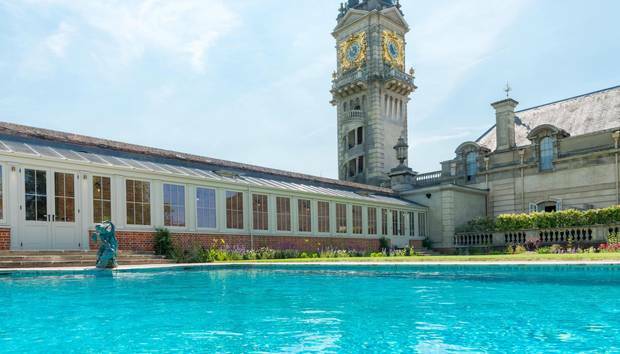 The swimming hole at this five-star country house hotel, a 60-minute drive west of London, has become the centrepiece of the Cliveden Spa, recently reopened as part of a multimillion-pound property revamp. Instead of partaking in lavish weekend parties, guests indulge in Sarah Chapman Skinesis facials (Victoria Beckham is a fan of the line) and sink into warm water mattresses (a.k.a. heavenly clouds) during tailor-made body treatments. Lounging, robe-clad, in the airy atrium adjacent to the grand indoor heated pool as staff fetch you tea is mandatory for the full lush experience. The pool recently reopened as part of a multimillion-pound property revamp. The virtuous can make up for their dietary sins with a roots, shoots and bulbs smoothie and salad at the poolside Spa Kitchen eatery. The rest can continue to spoil themselves with midday champagne and desserts – or arrive early for a brunch of divine buttermilk waffles with caramelized banana, pecans and grilled bacon at the Astor Grill, once Lady Astor's stables (each booth was a horse stall). End the day with a stroll around the estate's 376-acre grounds – a National Trust site featuring grand fountains, formal gardens and forest paths leading to the Thames' banks – and pretend it's yours, all yours! Massages start at £60 ($109) for 45 minutes; Sarah Chapman facials from £105 ($190) for 60 minutes; clivedenhouse.co.uk. The hotel has a yoga studio that offers twice-daily classes. The Valsana Hotel & Apartments in Switzerland sits sandwiched between a frozen lake and towering peaks, partially hidden by a thick pine forest and drawing its power from a huge "ice battery." No, it is not the lair of a ski-loving Bond villain, although the cutting-edge technology would be in Blofeld's wheelhouse were it being used for nefarious, rather than eco-friendly, purposes. It's a just-opened ski resort that is raising the bar for eco-friendly escapes. In short, energy is created through geothermal probes plunging deep into the ground, and by capturing waste heat from other sources (including a neighbouring supermarket and the hotel itself) that is then stored in a large water tank and reused through a cycle of freezing and thawing. Valsana also insists on eco-friendly cleaning products, keeps packaging to a bare minimum and is almost paperless – creating as clean an environment inside the hotel as out. But that's all behind the scenes. 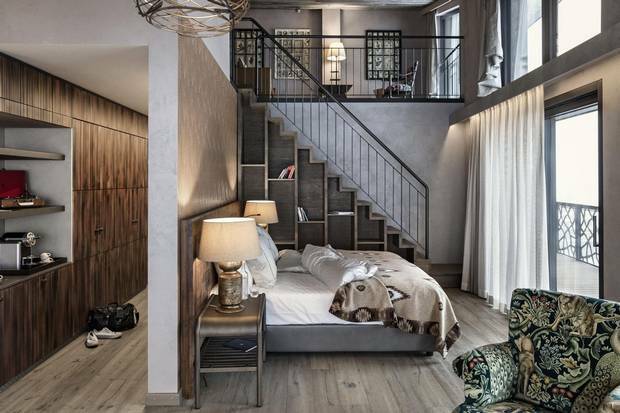 On the surface, the 40 rooms and nine apartments are industrial/chalet chic, blending natural elements such as dark woods and wool blankets with modern shapes and technology. It's the perfect cocoon in which to replenish your own energy supply after a day on the slopes. The rooms and apartments are industrial/chalet chic. The immense 800-square-metre spa, on the other hand, is utterly alpine, with views onto the forest and mountains from its relaxation pool and sauna. It's also home to a steam bath and 24-hour gym, as well as a yoga studio in which twice-daily classes and small-group training are offered to guests by the resident fitness trainer. Twist restaurant offers clean and healthy fair – with vegan, lactose-free options and organic, locally sourced produce. Instead of the region's typical fondue, choose venison carpaccio with quince chutney, pumpkin seed oil, orange and thyme, or a "Green Bowl" of baby spinach, feta cheese, roasted pumpkin, avocado, sprouts, figs and walnuts. The apartments are self-cater, but stay in the hotel and you'll be treated to the full Swiss breakfast spread: cured meats, cheeses and bircher muesli, but also rice milk, vegan yogurt and gluten-free bread. From 380CHF ($512) per night, B&B, based on double occupancy; valsana.ch/en. The resort’s beachside jungle location lets you relax to the sounds of wildlife and waves. Halfway down a dusty dirt road in the surf town of Santa Teresa on the Nicoya Peninsula of Costa Rica, you'll find the gates of Latitude 10. Enter through them and be ready to unplug and forget all about your inbox. And pretty much everything else. 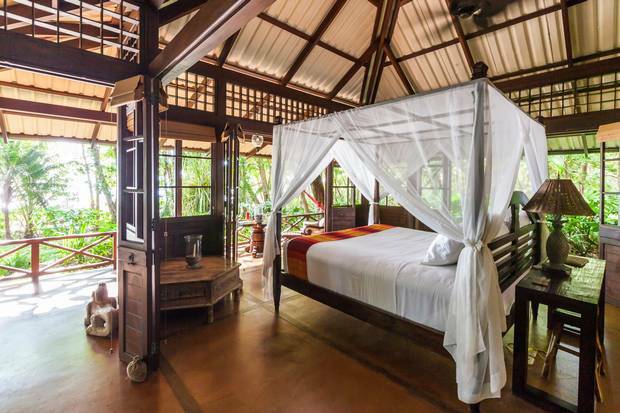 This wellness haven comprises just five open-air windowless casitas that blend into the surrounding jungle. No windows and few walls mean gentle breezes and soothing sound of ocean waves will lull you into deepest sleep of your life. (A mosquito net around the comfy bed keeps the bugs at bay.) But the night magic begins earlier, when staff light candles up the steps to your room and provide a flashlight so you can easily get from the restaurant back to your suite or private outdoor bathroom. Open-air windowless casitas blend into the surrounding jungle. 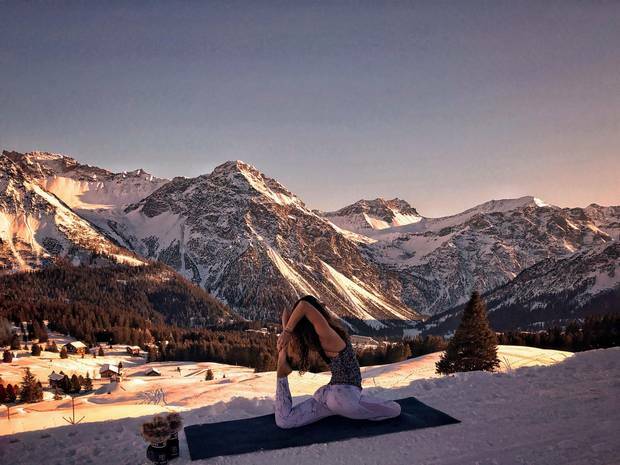 When you finally awake, start the day with a yoga class led by a local teacher. (Turns out finding inner peace is much easier with a tropical view and sand between your toes.) 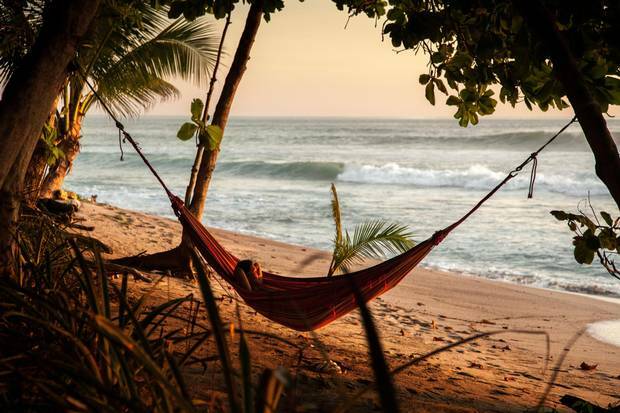 After your Asanas, the hardest decision you'll have to make is whether to stretch out in a hammock slung between palm trees or drag one of the provided daybeds a few steps closer to the surf. Or head to the open-air treatment room in the clubhouse for a selection of alternative therapies such as reiki, acupressure, and reflexology, all designed to ground and refresh weary travellers. Of course, thanks the resort's beachside jungle location, Mother Nature provides the best amenities. The area is home to indigenous wildlife that you'll definitely hear and possibly see during your visit, including the raccoon-like coatis, howler monkeys, lizards and the resident tiger heron who struts around the poolside. And don't forget to pad along the sand come evening for sunsets so dramatic they never fail to draw a crowd. 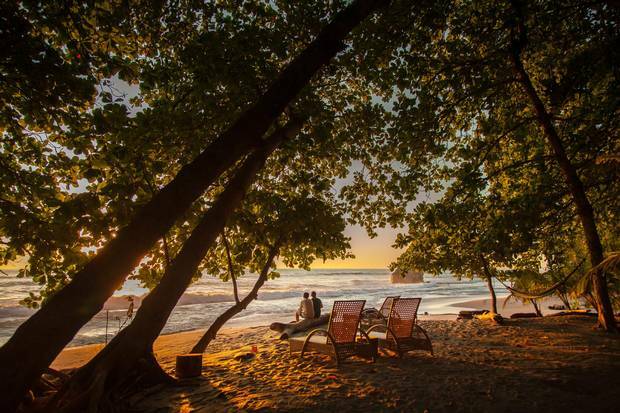 From US$392 ($506) a night with breakfast, based on double occupancy; latitude10resort.com. The writers were guests of the properties, which did not review or approve this article.